Will the weather be chilly, warm, rainy, or sunny today? 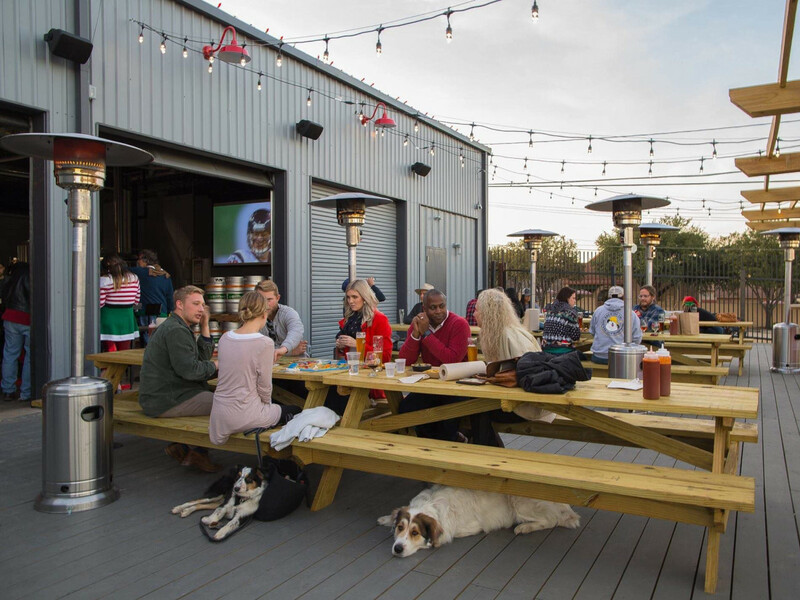 The answer in Texas right now is “yes.” But despite unpredictable outdoor conditions, the season for patio-sitting-and-sipping is now, and there are several new options around town ready to wet your whistle. 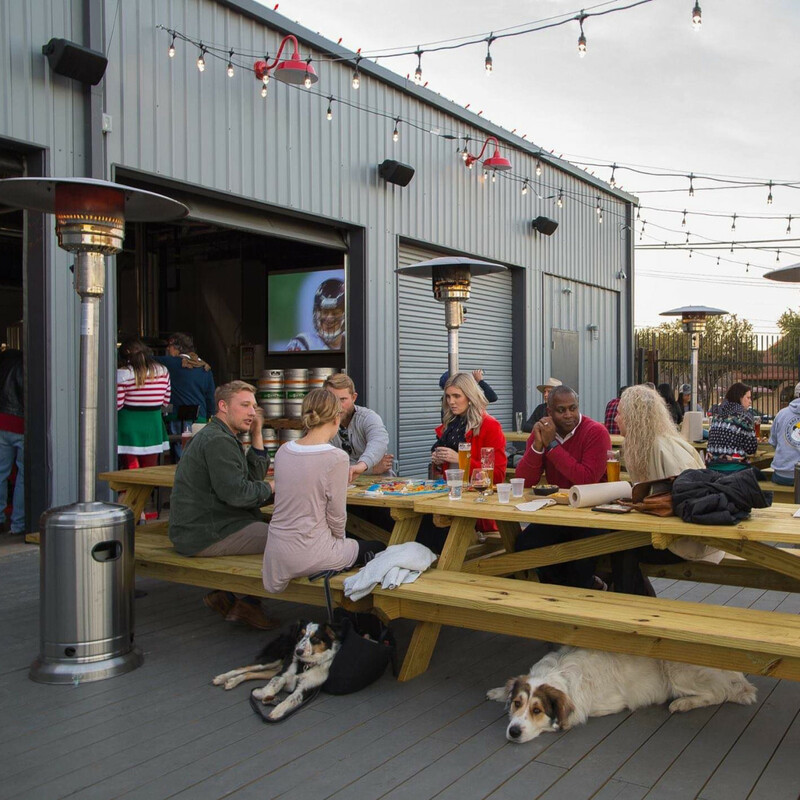 From those dotted with trees and string lights to one offering seats high in the Fort Worth skyline, here are five of Fort Worth’s hottest new patios for spring 2019. Having quietly opened late last fall in the former spot of The Bearded Lady (which reopens on South Main any day now), this cozy bar is drawing patio patrons for unique craft beer choices and a sit-and-stay-awhile atmosphere. The 1914 bungalow feels like someone’s cool vintage house, and the uncovered patio beckons with picnic table seating, colorful floral and a street-side view of busy West Magnolia Avenue. Beer is the main feature here, as there are more than 200 options with around 30 on tap. Non-beer drinkers will find a smaller wine selection and a full bar. There’s a simple food menu of sandwiches, burgers and apps, too, which makes ordering uncomplicated. Sip a coconut porter and relax as you would on your own front porch. 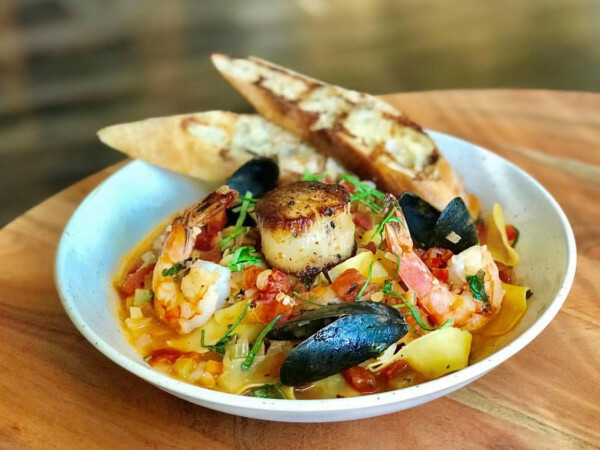 The entire restaurant feels like a patio here, thanks to mile-high ceilings and a massive open wall that leads to a gravel-paved outdoor seating area. The structure is basically a barn — a sleek, industrial barn with lots of corrugated metal, pendant lights, and big fans. 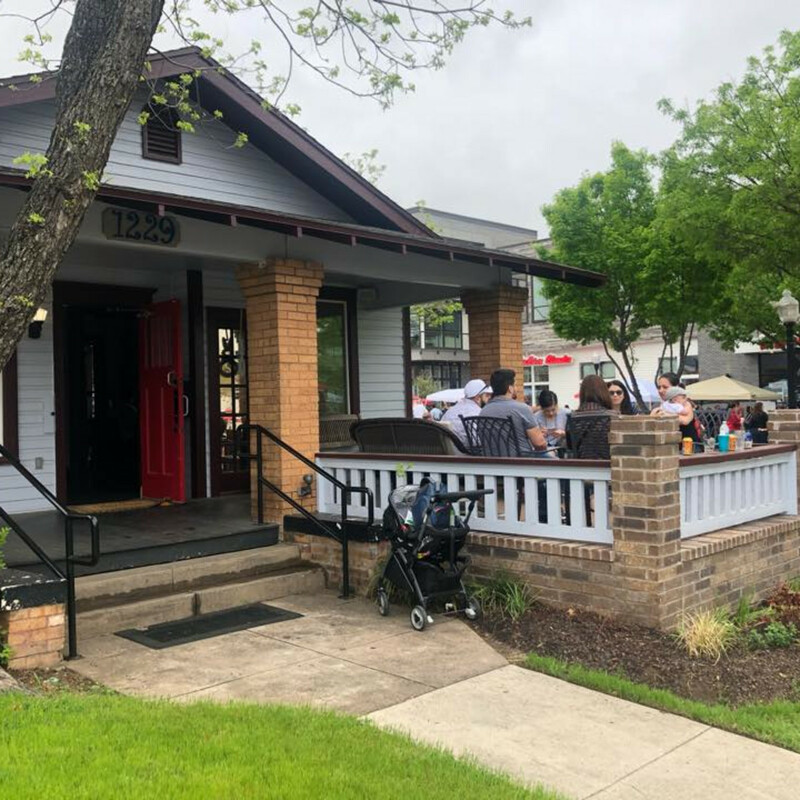 Opened late last month, Rogers Roundhouse comes in part from the owner of Curly’s Frozen Custard, offering burgers, nachos, sandwiches, and tater tots. Outside, rows of unstained picnic tables are situated under string lights. 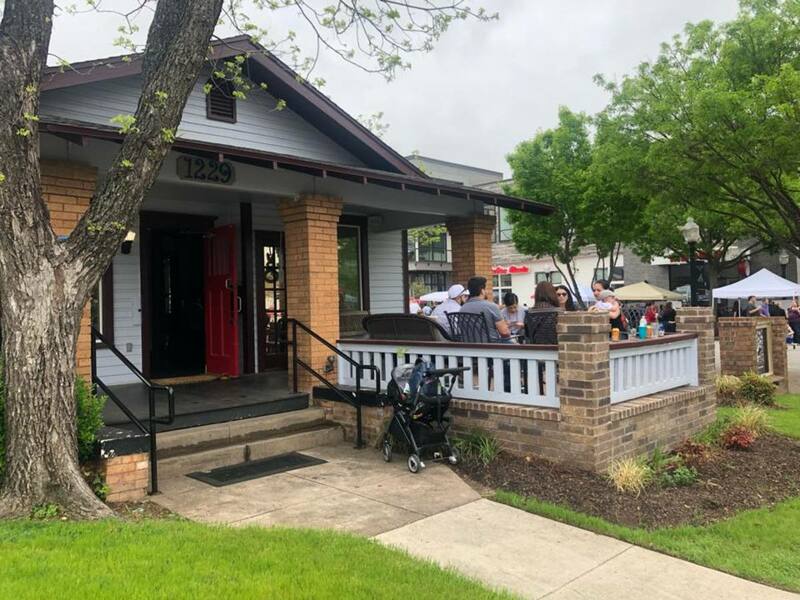 There is plenty of room for the kids to run around without disturbing other patrons, and occasional live music will keep customers of all ages entertained. The cocktail list begs for sipping al fresco, with refreshing choices like Ranch Water (Topo Chico, tequila, and lime), and a fruity rum punch. When temperatures heat up, go back for frozen libations including a mule, margarita, and frosé. The colorfully designed interior — with its floral wallpaper, yellow barstools, and painted succulents — will beg for attention, but the patio deserves a visit. Strewn with lights above and outfitted with woven lounge chairs and teak tables, the pretty outdoor space brings new life to a long-desolate spot on Crockett Row. Opened in February, the concept has two locations in Dallas. 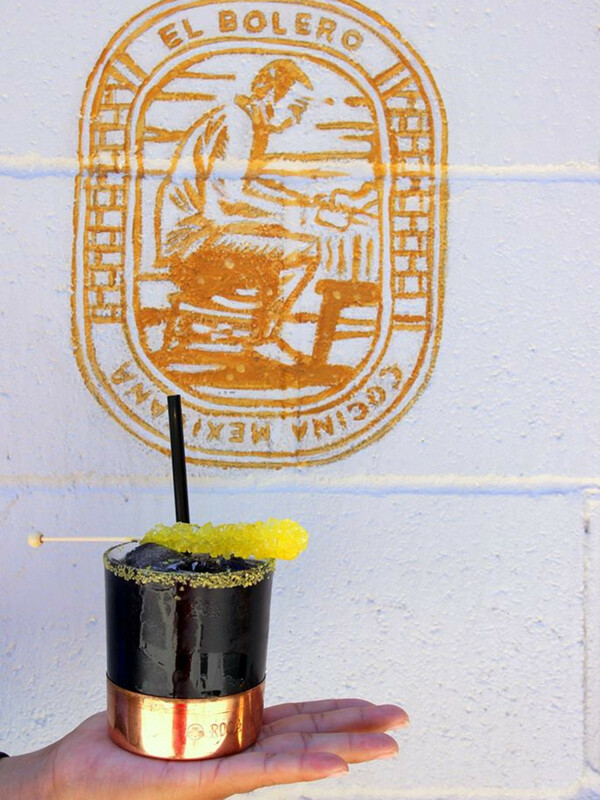 Margaritas are a bar menu specialty, with the Instagram-friendly “Oilman” serving as a signature drink. 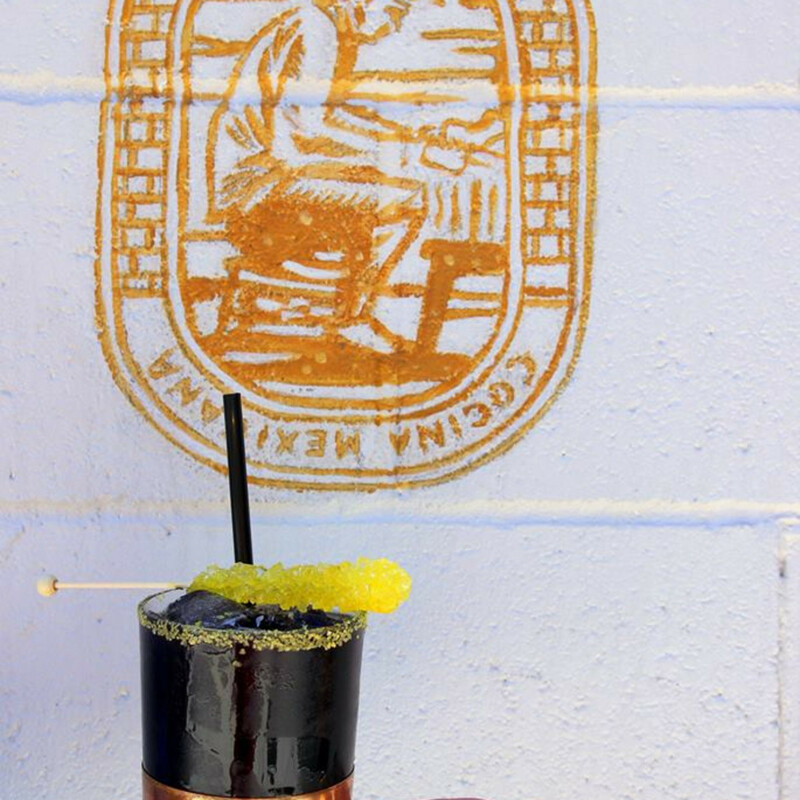 Pitch black in color, the libation is shaken with activated charcoal and Codigo 1530 tequila, and garnished with a gold salt rim and a golden-hued rock candy skewer. The patio offers a flat-screen TV in plain view, so missing any sports action won’t be an issue here. ​Prepare to rubber-neck while driving up the Belknap Street bridge into downtown on almost any pretty evening. That’s Cowtown Brewing Co. on the right, with the red-and-white string lights and wooden deck filled with patrons. 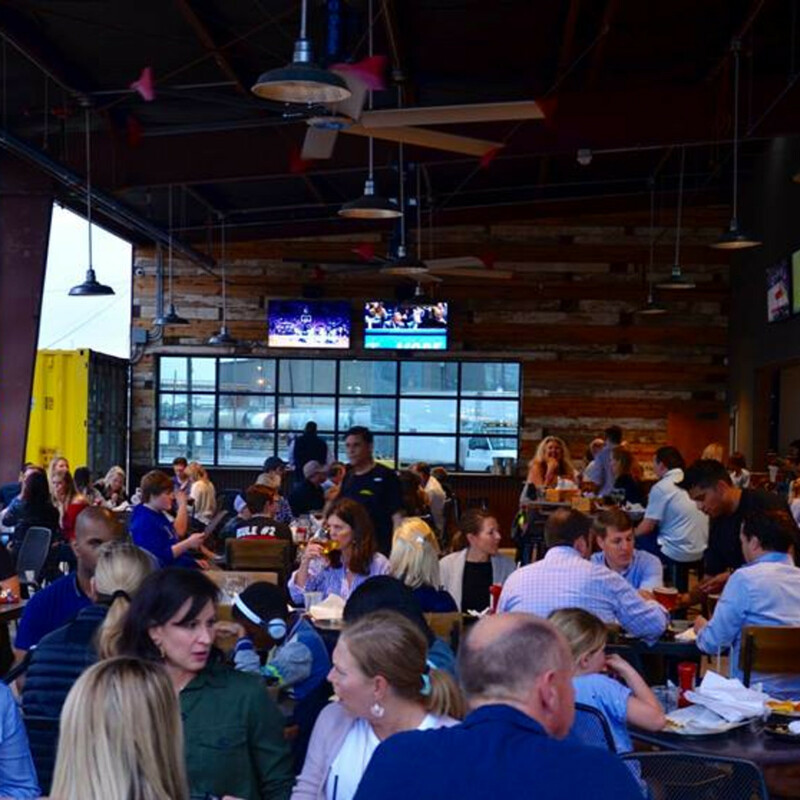 Having opened in October, word is slowly spreading about the brewery’s refreshing craft beer selection and accompanying barbecue that’s smoked and served on-site. 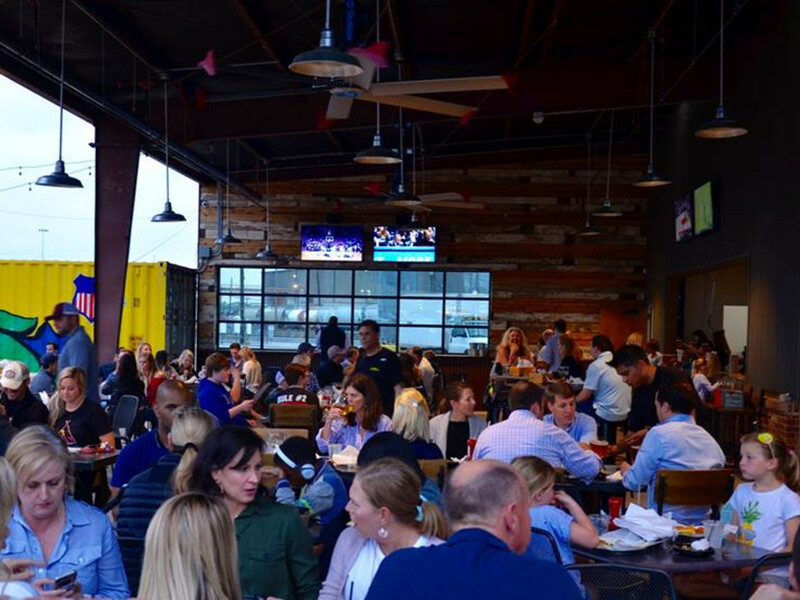 Sliding glass garage doors open from the taproom to the open-air patio, which is lined with wooden picnic tables and framed by a long, high bar to lean on. Cowtown’s highly rated “Everybody’s Doing It” IPA is a crowd favorite. 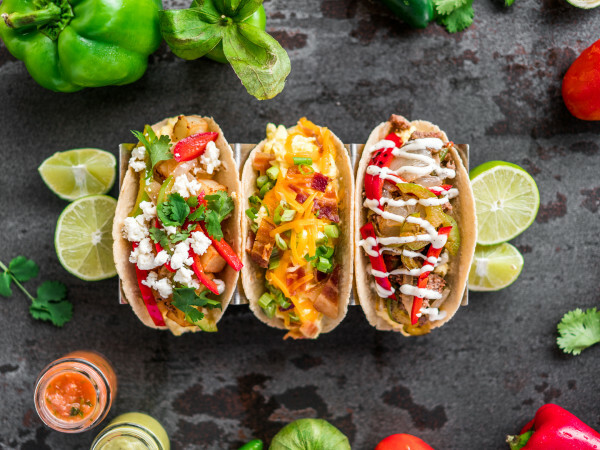 Pair it with a platter of pulled pork nachos. 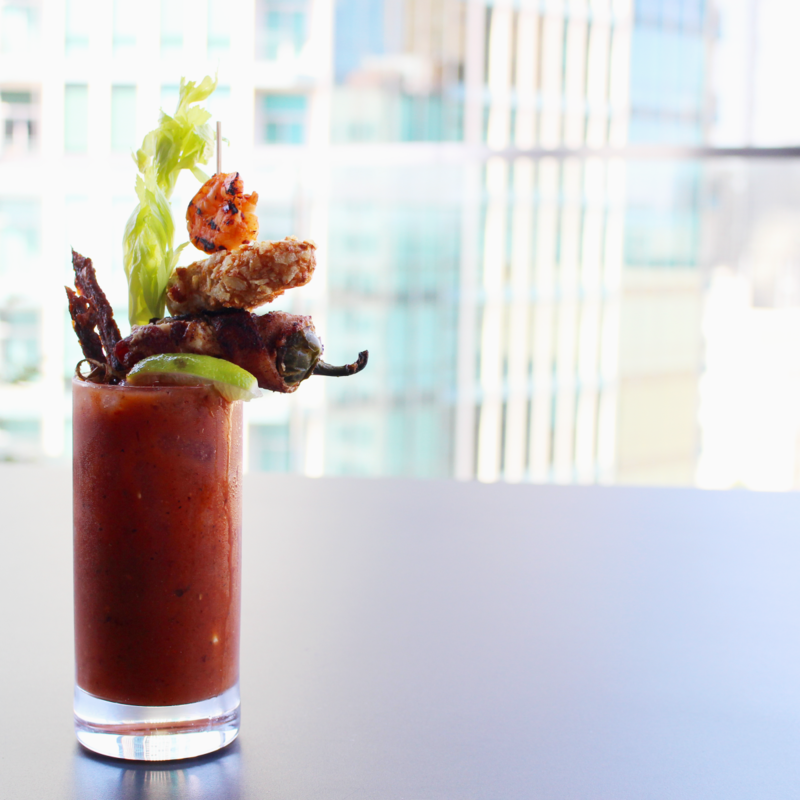 A new name and a new menu has elevated this sky-high bar and restaurant to even bigger heights. 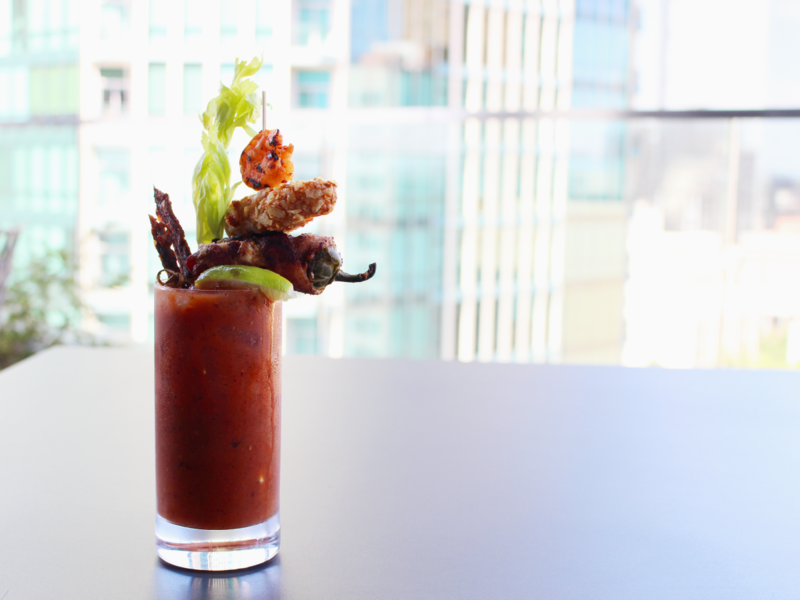 Formerly Perch, Branch & Bird deserves a happy-hour visit. Located on the 12th floor of the Frost Tower downtown, the covered patio is refreshingly peaceful — not a lot of street traffic noise up there, and the breeze is constant near the top of the Fort Worth skyline. Seating is spacious and sleek, with minimal décor and lots of clean lines. A French 75, with its bit of sophisticated effervescence, is fitting for a springtime sip. Go during happy hour Tuesday to Friday from 4-6 pm when it’s only $5.